Indonesia and Norway have agreed to increase current cooperation because trade and investment have been growing positively, Head of Press, Media and Information of the Presidential Secretariat Bey Machmudin said in a news release received here on Sunday. The agreement was the major point from the Outcome of the bilatetal assembly between President Joko Widodo and Norways Prime Minister Erna Solberg to the sideline of the G20 Summit in Hamburg. Trade at 2016 rose by 40.5 per cent in value compated to 2015. Investment meanwhile climbed 77.2 per cent including portfolio investment in Norways Pension Global Fund. The positive trend needs to cintinue to be kept and even increased, President Joko Widodo thought to Prime Minister Ema that vidited Indonesia at 2015. He explained Indonesia has received investment grades from three world rating bureaus. I hope for your service to ensure Indonesia-European Free Trade Association Comprehensive Economic Partnership Agreement (EFTA CEPA) discussions could possibly be finished this year, he said. However, President Jokowi as he could be also called expressed concern over the resolution of Norway parliament on palm oil. 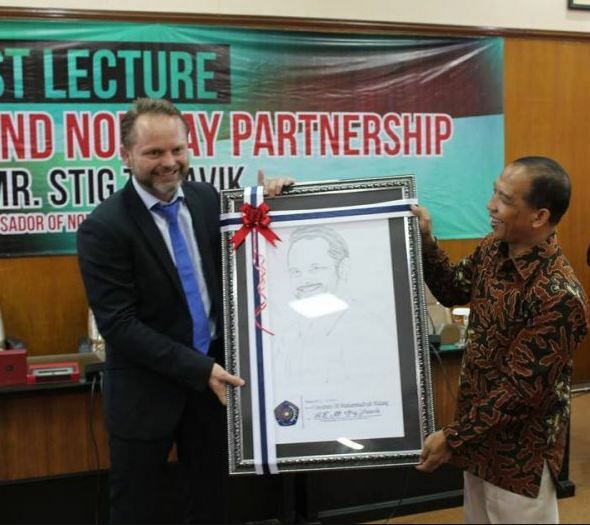 He explained the settlement ran counter to the spirit of REDD+ collaboration between Indonesia and Norway and negated efforts made by Indonesia with regard to overcoming climatechange effects, environment protection and sustainable development. I think the Norway government supports fair and open trade relations, he said. Both leaders also discussed fisheries and marine resource businesses from the meeting. President Jokowi lauded increased intensity in the collaboration between both countries in the industries including Norways support to Illegal, Unreported and Unregulated (IUU) fishing in Indonesia. I wish to push for formalizing cooperation in the field covering IUU Fishing, fishery management, sustainable culture and sea protection, he explained. President Jokowi was flanked by international minister Retno Marsudi, finance minister Sri Mulyani, cupboard secretary Pramono Anung and head of Capital Investment Coordinating Board Thomas Lembong.